National Weather Service officials say communities along the Upper Mississippi River could see record-setting floods this spring. Snow melt and rain have already caused flooding in eastern Wisconsin and some western counties in March. 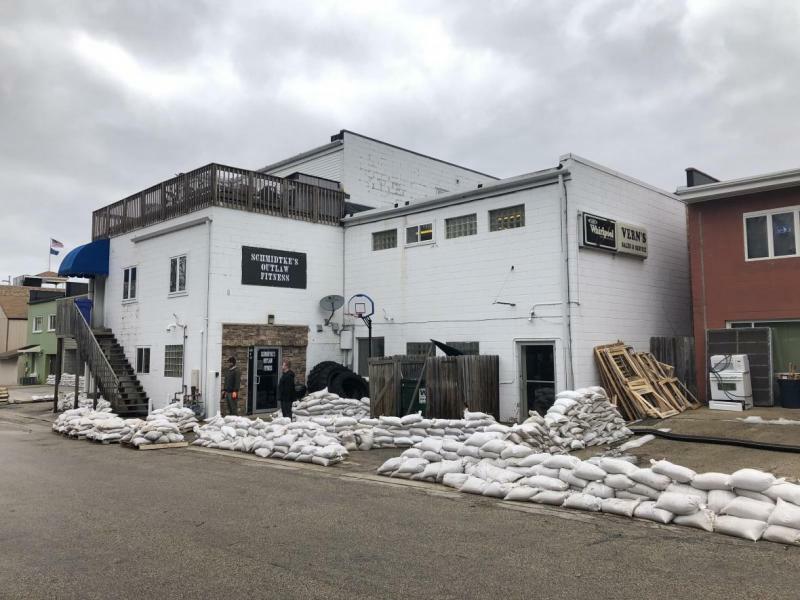 But John Wetenkamp, senior forecaster with the National Weather Service in La Crosse, said he’s still expecting significant flooding across the southwestern part of the state. "Unfortunately, we have not melted off all the snow pack yet. There is still more to go, especially north of the Interstate 90 corridor," Wetenkamp said. "We’re still anticipating, at a minimum, minor flooding at many locations, particularly along the Mississippi River. We could even see major flooding." Wetenkamp said the extent of the flooding will depend on how quickly the remaining snow melts and whether the region gets additional rainfall. Ed Hopkins, assistant state climatologist for the Wisconsin State Climatology Office, said this year’s conditions are similar to the spring of 1965. The upper Mississippi river reached the highest level on record in many communities, cresting at 20.05 feet in Wabasha, Minnesota, 17.9 feet in La Crosse and 25.38 feet in McGregor, Iowa. "La Crosse was hammered and a lot of the communities both up and downstream from La Crosse got it," Hopkins said. "In a lot of ways, it was quite similar (to this spring). You had a lot of precipitation earlier on, it was cold, and then there was some rain and it really came down fast." Wetenkamp said the National Weather Service is also predicting flooding to set new records in Wisconsin. "There is a potential to see crests maybe in the Top 5. Hopefully not another record crest (like 1965), but the potential is there given how much snowpack is in place upstream of our area," Wetenkamp said. "So we’re going to have to watch that carefully." Flooding is nothing new for residents along the Mississippi River, said Keith Butler, emergency management coordinator in La Crosse County. "I’m hoping they've already started their plans: How am I going to move things out of the lower level and get them up to the higher level, and all the other typical preparations that we encourage people to do," Butler said. Butler said residents in flood-prone areas should update their flood insurance policy and have a back up plan for evacuating during high waters.